Chutney Awards 2015. Read all about it here. No artificial flavours, preservatives or sweeteners. 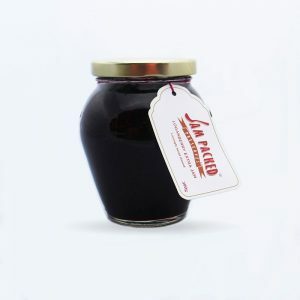 Loganberry is a hybrid fruit of blackberry and raspberry and produces a lovely rich red jam that is not quite as sweet as raspberry and it does contain pips. Most of the loganberries we use are grown in our garden and are fourth generation cuttings that have been rooted and passed down the female line of my family from my great grandmother. 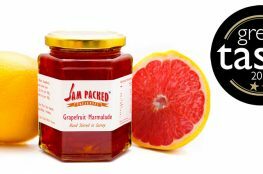 This very popular preserve is not widely available and the fruit is available in season during August. Tayberries are a raspberry/blackberry hybrid and originate from the banks of the River Tay in Scotland. 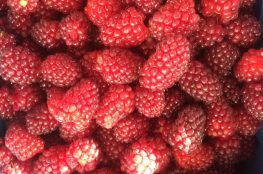 The fruit is similar to a loganberry, but is sweeter and more aromatic. We hand pick the fruit from a fruit grower in Hartley Wintney during their short season – not an easy task! – so this is available in limited quantities. Available late July. A chuckleberry is a hybrid fruit and has a redcurrant, gooseberry and jostaberry (blackcurrant & gooseberry cross) parentage. This fruit has hints of all three parents and produces a lovely sharp, tart, but sweet flavour with very few seeds. 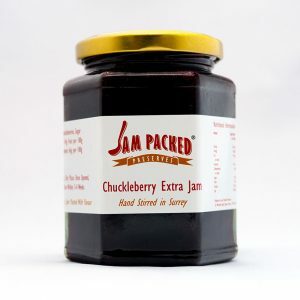 This is our best seller and people tell us it “tastes like jam used to taste”. 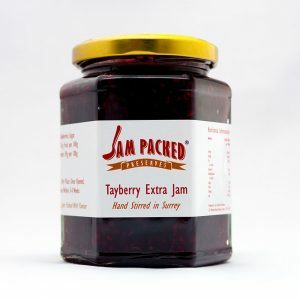 Use this jam as a lovely alternative to blackcurrant – it has a similar flavour, but more interesting. 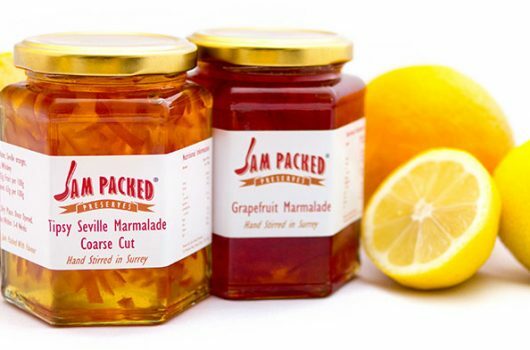 2019 © Copyright Jam Packed Preserves. All rights reserved. Web design & product photography by We Built Your Website Ltd.